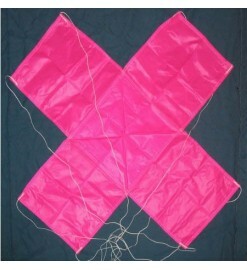 Nylon parachutes for mid-power rockets, with E to G motors. 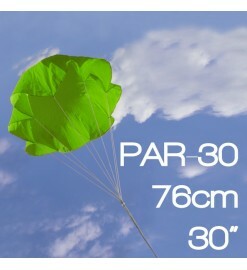 Mid Power There are 13 products. 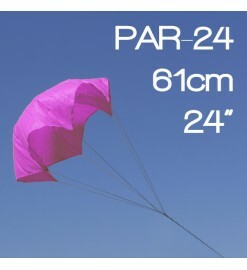 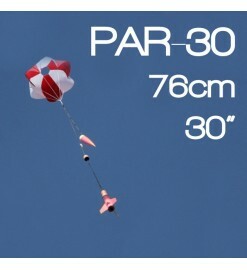 Parachute PAR-36 - Public Missiles Ltd.
Parachute PAR-30 - Public Missiles Ltd.
Ripstop cross-shaped nylon parachute, with nylon shroud lines. 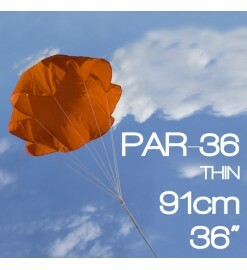 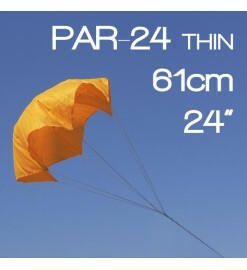 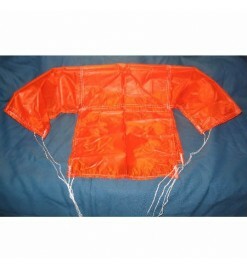 A cruciform parachutes greatly reduces the drift and the opening shock.